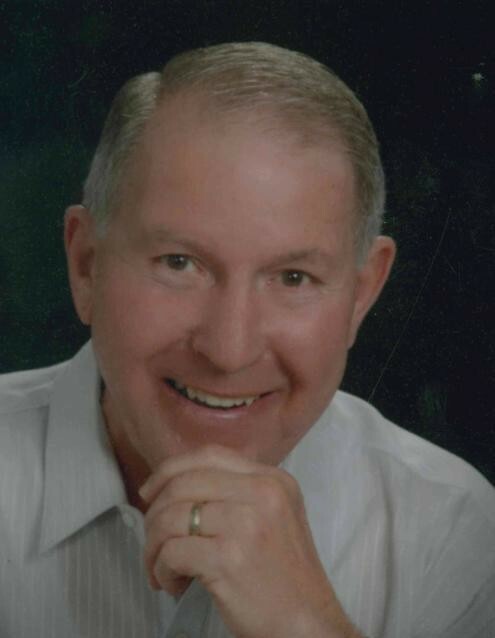 JERSEYVILLE - Orville Russell "Russ" Wilson, 78, died at 10:22 a.m., Saturday, April 6, 2019 at his residence. He was born in Otter Creek Township, Jersey County, Illinois on June 3, 1940, one of three children born to Orville Russell "Pete" and Mary (Blackston) Wilson. Russ graduated in 1958 from Jersey Community High School, where he participated on the Panther football, basketball and track teams. In his senior year of high school, he began working at Tri-City Grocery in Jerseyville and remained there just a few years, before accepting a position with Owens-Illinois Glass Manufacturing in Alton. He would continue with the company his entire adult life, dedicating 42 years of service, prior to his retirement in 2002. Russ never went anywhere without a smile or a story to tell. He was a people person, and enjoyed time spent with his friends and family. Russ was always active and contributing. He spent many years as a Khoury League baseball coach and was a familiar face at the St. Francis/Holy Ghost Catholic School cafeteria, where he volunteered for many years. He was a talented bowler, and participated on various teams throughout the years. He and his wife Carol, traveled around and spent many a weekend at various bowling tournaments, where they surrounded themselves with good friends, friendships that would last throughout the years. He married the former Carol Egelhoff on October 13, 1962 at the Holy Ghost Catholic Church in Jerseyville, and their married life was truly blessed with 56 years, and two wonderful children. Surviving are his wife, Carol Wilson of Jerseyville; a daughter and son in-law, Kelly and Jud Perkins of Kincaid; a son and daughter in-law, Kurt and Tammy Wilson of Jerseyville; four grandchildren, Joshua Perkins, and his companion, Jillian Reich of Springfield, Samantha Neighbours, and her husband, Craig of Taylorville, Dylan Wilson and Autumn Wilson both of Jerseyville; three great grandchildren, Maci, Madison and Morgan Neighbours of Taylorville; and a sister in-law, Roberta Egelhoff of Jerseyville. In addition to his parents, he was preceded in death by a brother and sister in-law, Richard and Betty Wilson; a sister and brother in-law, Joanne and Paul Hill; his father in-law and mother in-law, Leo and Pauline Egelhoff; and a brother in-law, Robert Egelhoff. A Funeral Mass will be celebrated at 10 a.m. Wednesday at the Holy Ghost Catholic Church in Jerseyville, with Father Martin Smith officiating. Burial will be in the Oak Grove Cemetery in Jerseyville. Memorials may be given to the St. Francis/Holy Ghost Catholic Schools in Jerseyville or to Masses.